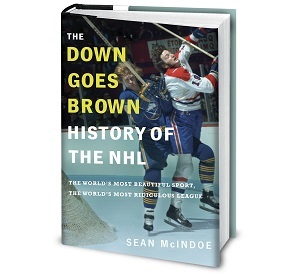 Down Goes Brown: Weekend wrap: Is it time for Lou to go? DeBoer’s firing led to the usual speculation as to who would replace him, with early reports suggesting Paul MacLean would get the job. Instead, the team announced a highly unusual co-coaching scenario, with Hall of Fame players Adam Oates and Scott Stevens splitting the job. Oates will coach the forwards, Stevens will take the defensemen, and neither will get an official head coach title or, we’re told, be allowed to speak to the media. And overseeing it all, at least temporarily, will be good ol’ Lou Lamoriello, the longtime GM who steps behind the Devils’ bench on an interim basis for the third time.